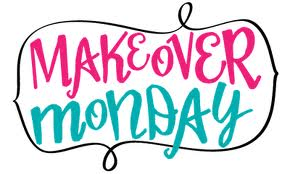 I have something new for you coming up on my blog called “Makeover Monday; Baby Steps to Success for Creating the Business and the Lifestyle You Love” where I will be giving you simple tips for making over your business in the next 12 months. Some of these will be videos and some will be written tips. This week's Makeover Monday #1 is on “Getting Started In Real Estate Investing” so check out this short video. ← Is There A “Perfect” Direct Mail Piece?